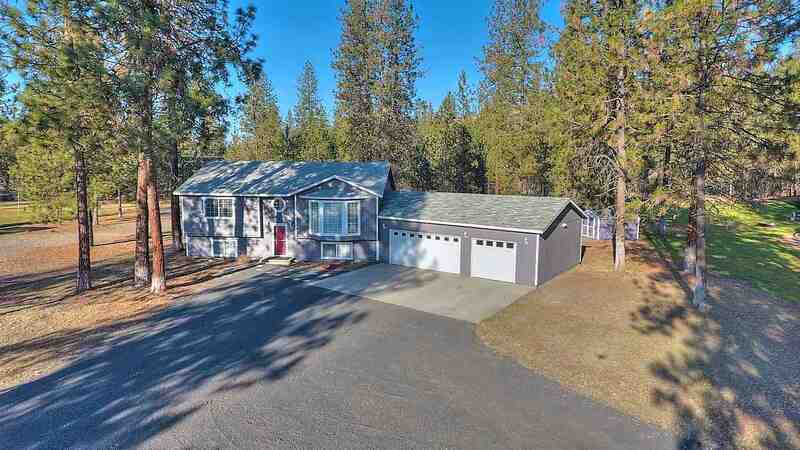 6496 Long Lake Dr, Nine Mile Falls, WA.| MLS# 201827447 | Cooper Realty Services (509) 599-1111 | Spokane WA Real Estate | Contact us to request more information about our Homes for Sale in the Spokane WA area. Motivated Seller. Remarkable setting across from Long Lake. This 5 bed, 2 bath home sits on just over an acre on highly desirable Long Lake Drive. Home was nearly totally remodeled in 2017. Everything in this home is new. Beautiful kitchen open to living room. Also includes sprinkler system, back deck, beautiful landscaping, horses ok. Master suite downstairs with full ensuite bath. Attached 3 car garage. RV parking. Lovely area to get away from it all every day. Quiet neighborhood, nice neighbors.